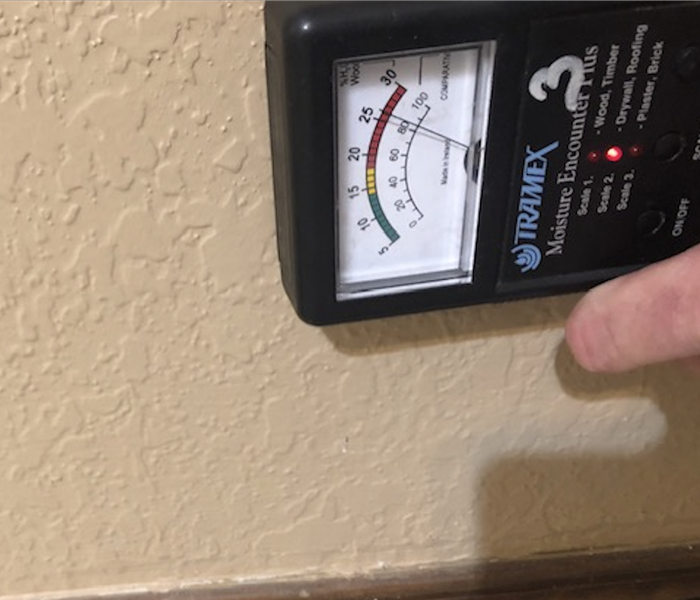 Our SERVPRO of South Tulsa County crew is in action checking moisture levels after a water loss in a Broken Arrow, OK, home. If a water loss damages your home or business, SERVPRO can take care of you from start to finish! 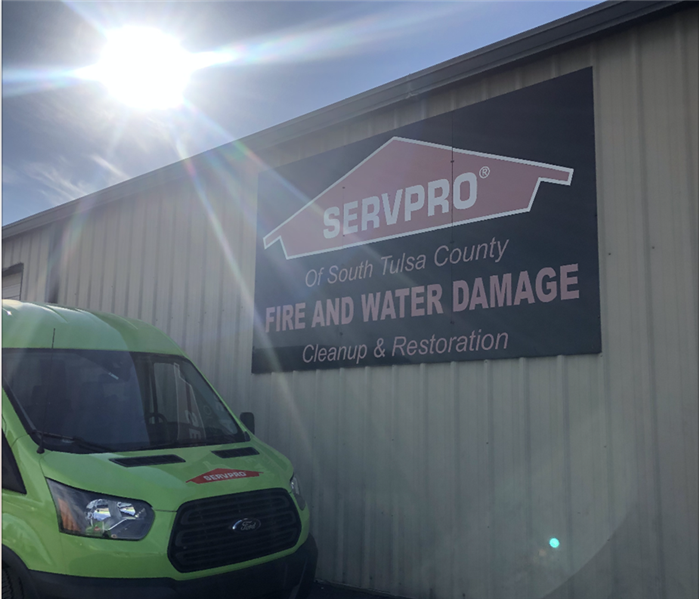 No matter rain or sunshine, SERVPRO of South Tulsa County is ready to respond to your residential or commercial fire, water, and mold damage. Our team prides ourselves in being "Faster to any size disaster." Read more about our Fast 24 Hour Emergency Service HERE. 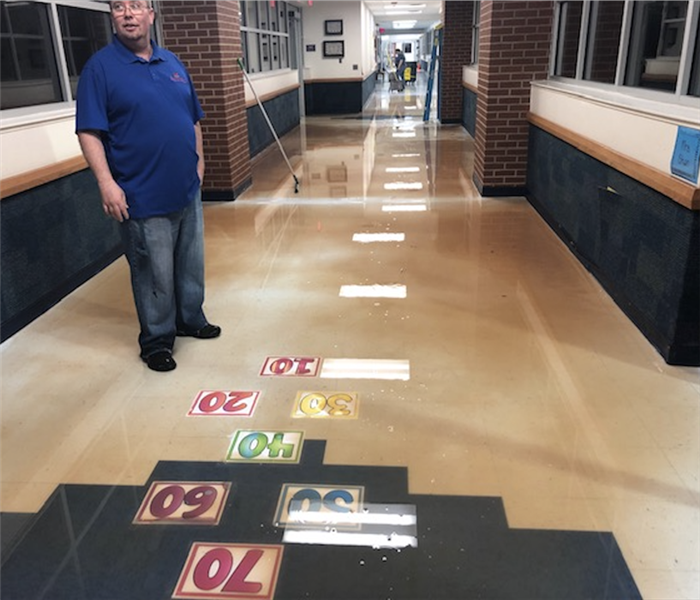 Our crew received a call from a local school that had experienced severe water damage overnight. Our team quickly responded and got to work to make the damage "Like it never even happened" as quickly as possible. 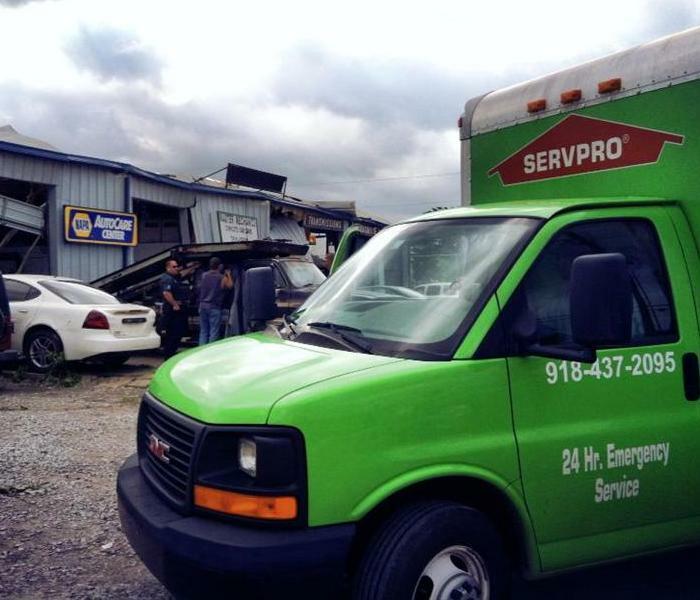 If you experience a loss on your commercial property in Tulsa, OK, our SERVPRO team is only a phone call away. SERVPRO of South Tulsa County can quickly respond and get to work to ensure the job gets done right! SERVPRO of South Tulsa County is "Ready for whatever happens." Whether its a large commercial loss, or a small residential water leak, our team is ready to help! If disaster strikes, give us a call! Rain or Sunshine, We can Help! Rain or sunshine, our SERVPRO of South Tulsa County's team is ready to respond. We pride ourselves in being "Faster to any size disaster," no matter the day or hour. If disaster strikes, give our team a call! 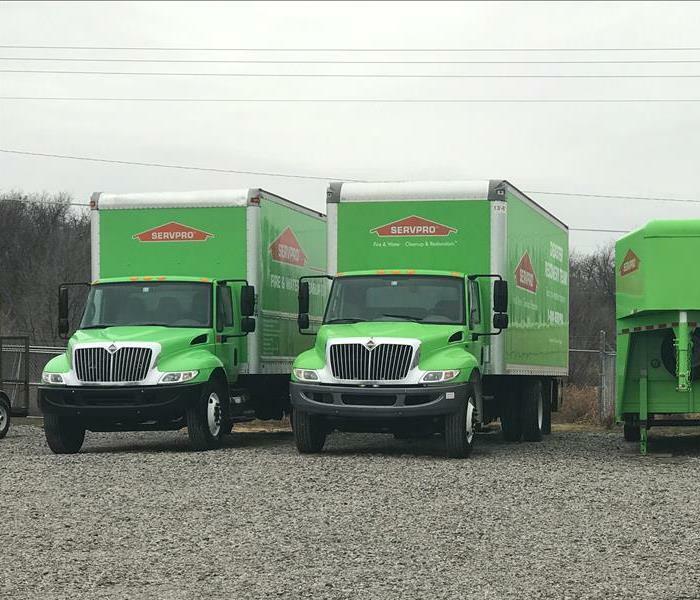 Our SERVPRO of South Tulsa County team is ready for ANY size loss that you might experience on your commercial property. If disaster strikes, our team can quickly respond and get to work to ensure a quick and proper restoration. It is a beautiful day at the office! Our SERVPRO of South Tulsa County team is on standby and ready to respond 24 hours a day, 7 days a week, 365 days a year. Our SERVPRO of South Tulsa County team recently donated and installed an AED system in Jennings Public School. 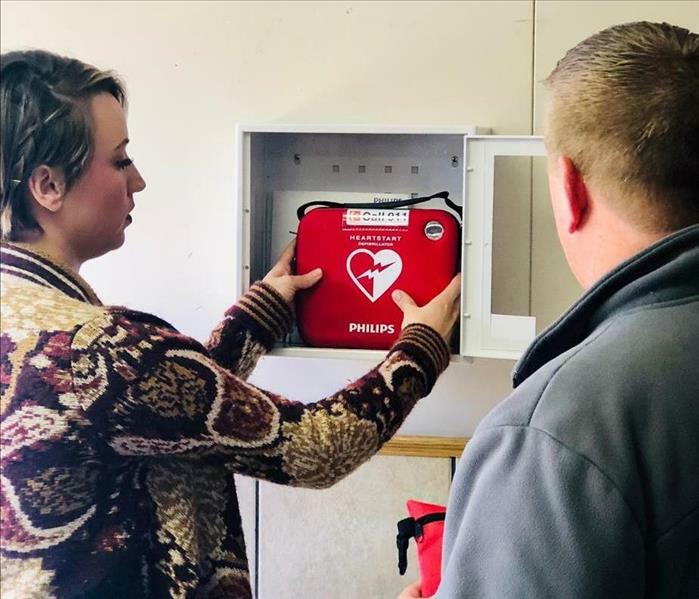 The donation will mark the fourth in SERVPRO’s continuing series of Automated External Defibrillator's (AED) presented to Oklahoma Schools. 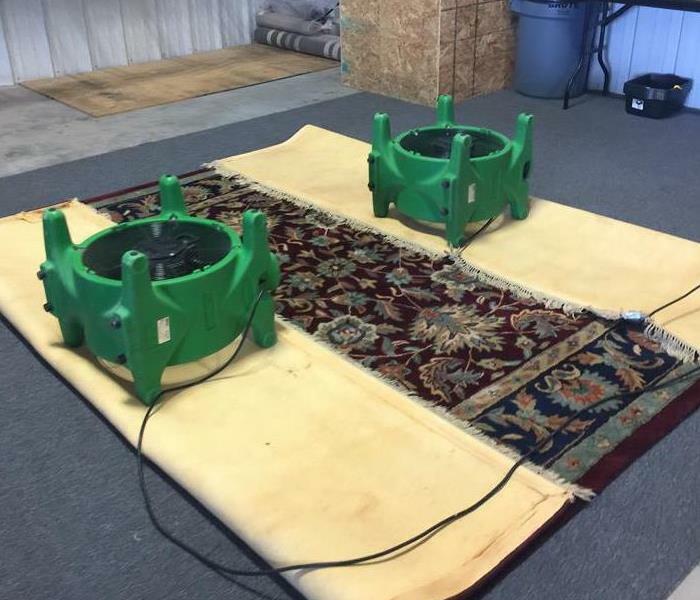 The SERVPRO equipment is up and running after a residential water loss. 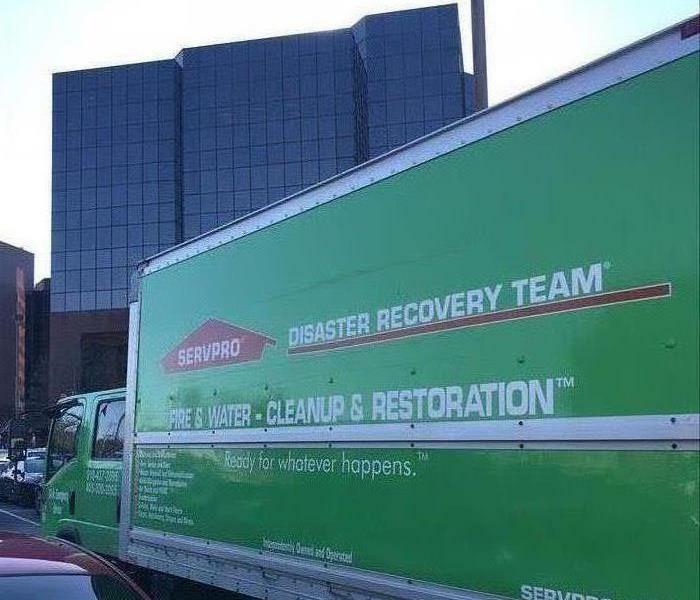 Our SERVPRO of South Tulsa County team knows that disasters never strike at a convenient time, for that reason our team is on standby 24/7/365. After a refrigerator leak, our SERVPRO of South Tulsa County team was called. Our team is in action pulling up the floors. 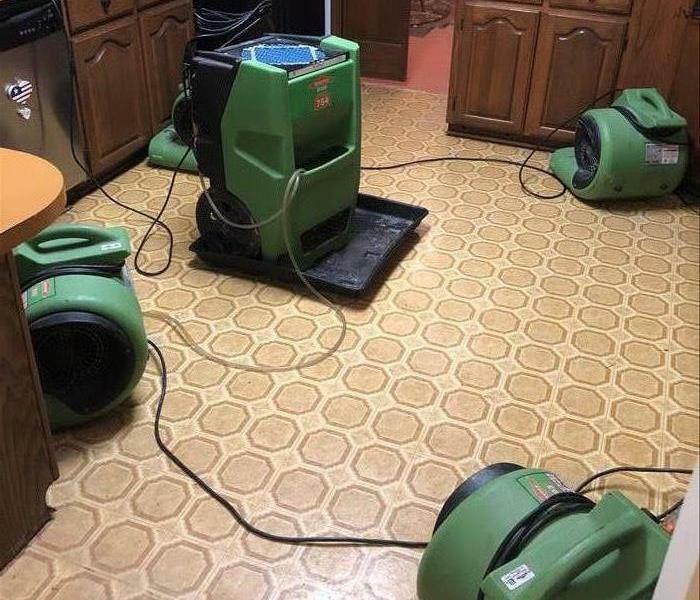 If you experience water damage in your home, our SERVPRO of South Tulsa County team is Here to Help! Our crew is on standby and ready to respond whenever disaster strikes. We are available to help with ANY size residential or commercial loss 24/7/365. If disaster strikes, give SERVPRO of South Tulsa County a call! 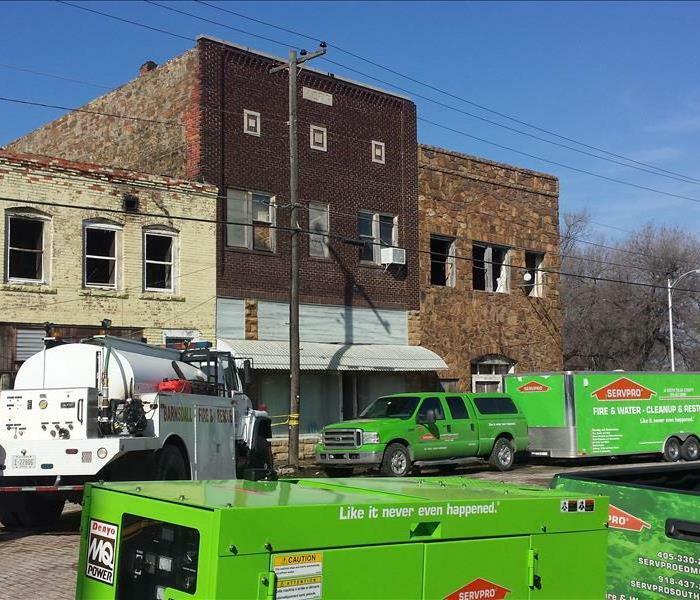 Our SERVPRO of South Tulsa County team is currently working hard on a large commercial restoration. 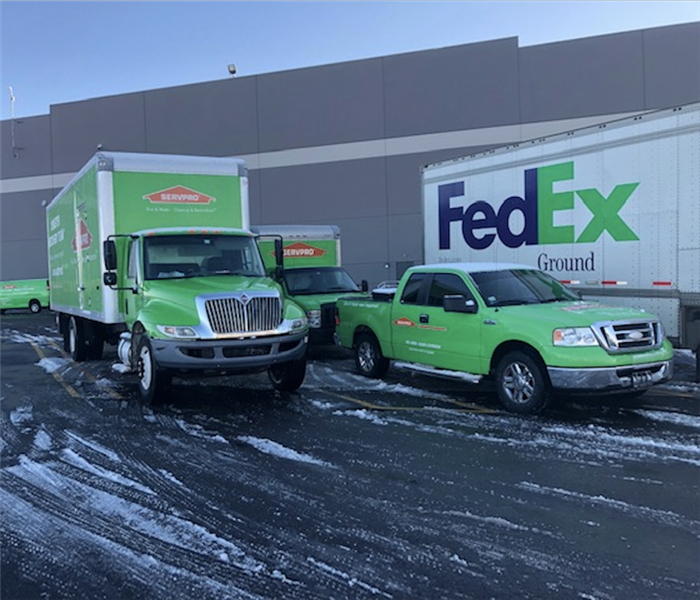 No size loss is too large for our SERVPRO crew. If you experience a large loss in your commercial building, give us a call! After receiving a call about a commercial water loss, our SERVPRO of South Tulsa County team quickly sprung to action. Pictured is finished flood cuts during the restoration process to make the water damage "Like it never even happened." Disaster always strikes at the most inconvenient times. That is why our crew is always on standby, 24/7/365. When disaster strikes, we have the best crew and equipment in the Tulsa area to help with ANY size residential or commercial loss. After responding to a residential fire loss, our team quickly arrived and began the restoration process. 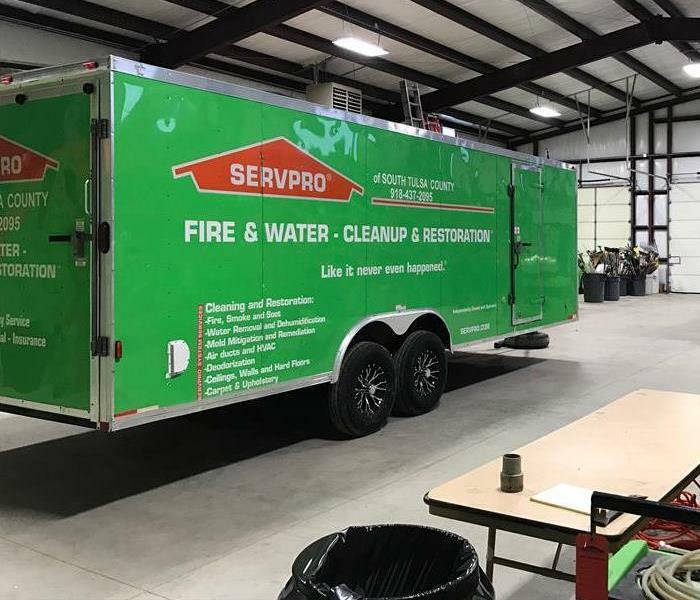 No size fire damage restoration and cleanup is too large for our SERVPRO of South Tulsa County team! When disaster strikes, we are Here to Help! 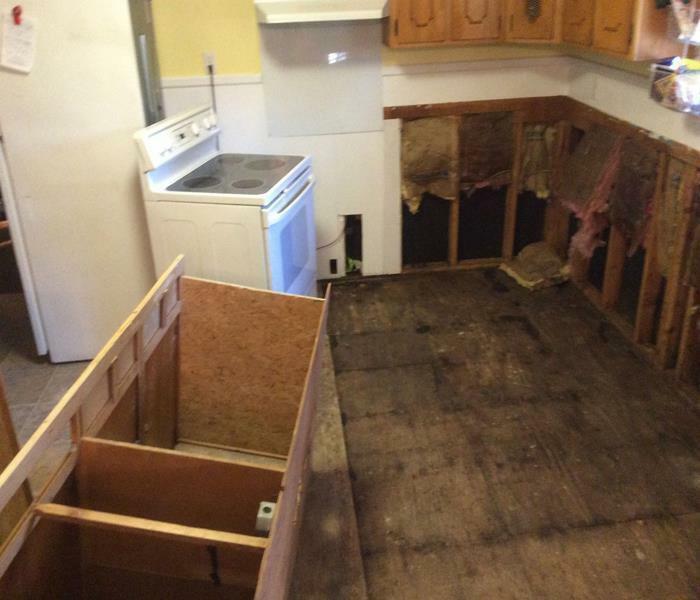 Our team was brought to this home to clean up after a sewage backup caused the damage you see pictured here. If your home suffers damage from a sewage backup, call SERVPRO. We are faster to any size disaster. 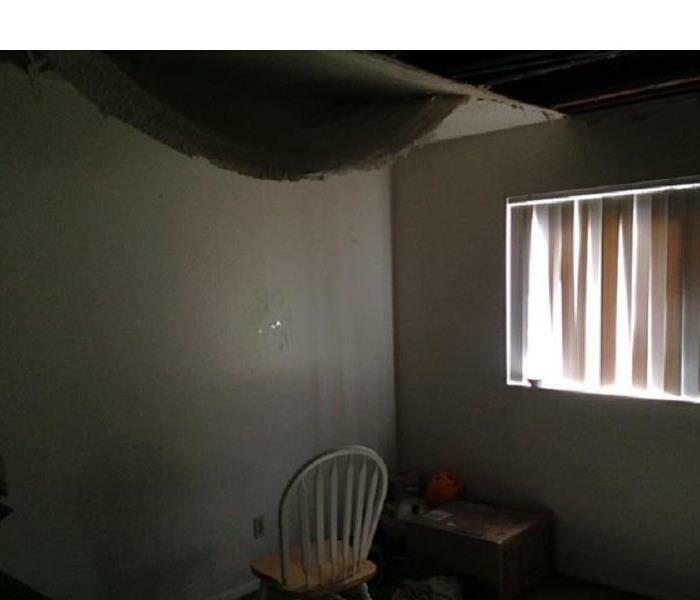 A leak in this home that went unnoticed for a while caused this ceiling to collapse covering the room in water and mold. 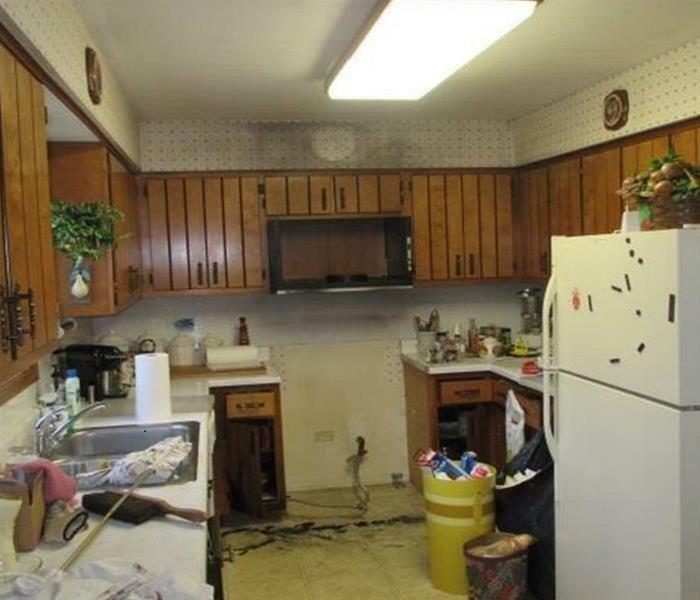 If your home suffers a loss like this, give us a call. A broken pipe upstairs caused the ceiling in this room to collapse under the weight of the water. Our team was brought in to handle the cleanup and repair of the home. If you have a water loss, give us a call! 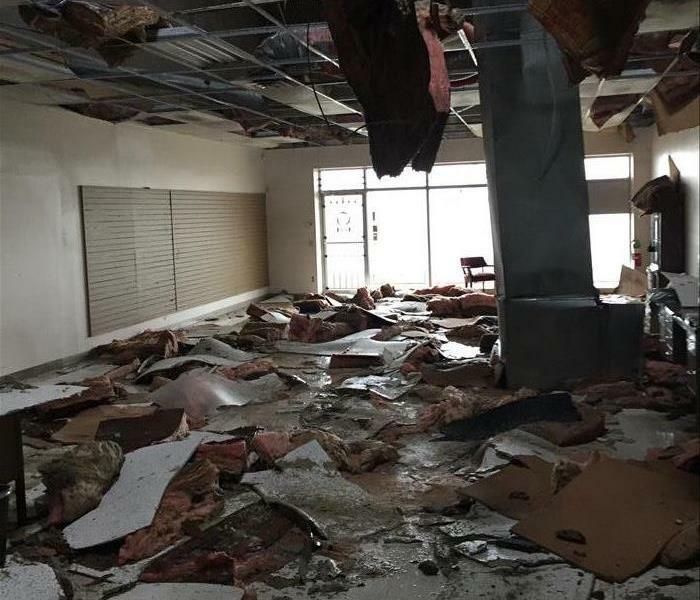 This facility had damage to its roof that caused the ceiling to become soaked and collapse. As you can see, there was a lot of debris from the collapsed ceiling, but we were able to get them back up and running quickly. 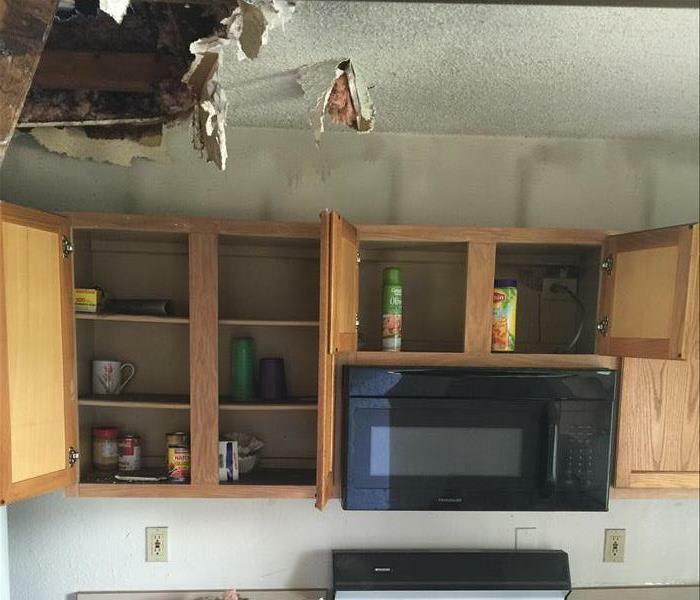 An upstairs pipe leak caused the ceiling in this kitchen to become saturated and eventually collapse. As you can see, it made a real mess. Our team was able to get it taken care of quickly. 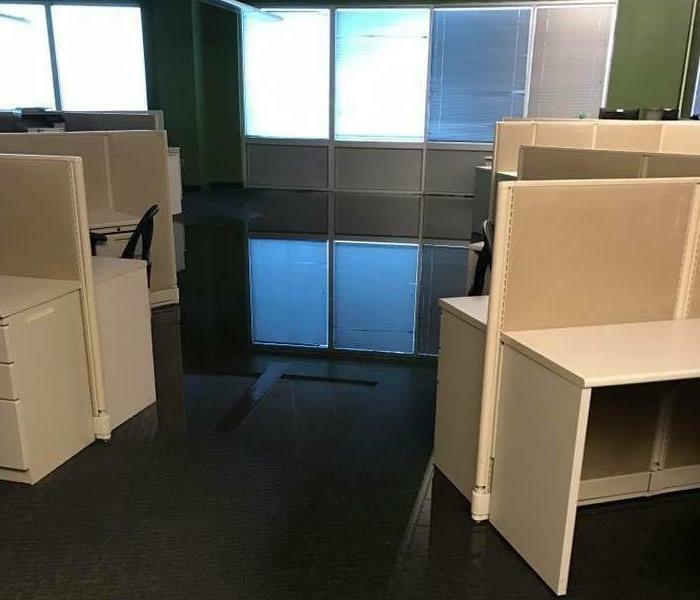 This office was flooded after damage by severe storms. Our team was brought in to handle the cleanup and repairs. Our first priority was the extraction of the standing water. If your business suffers damage like this, give us a call. No matter what happens or when, we are always ready. Our team is available 24 hours a day, 7 days a week, 365 days a year to respond to your disaster. Give us a call! One of the things we do here at SERVPRO is cleaning. 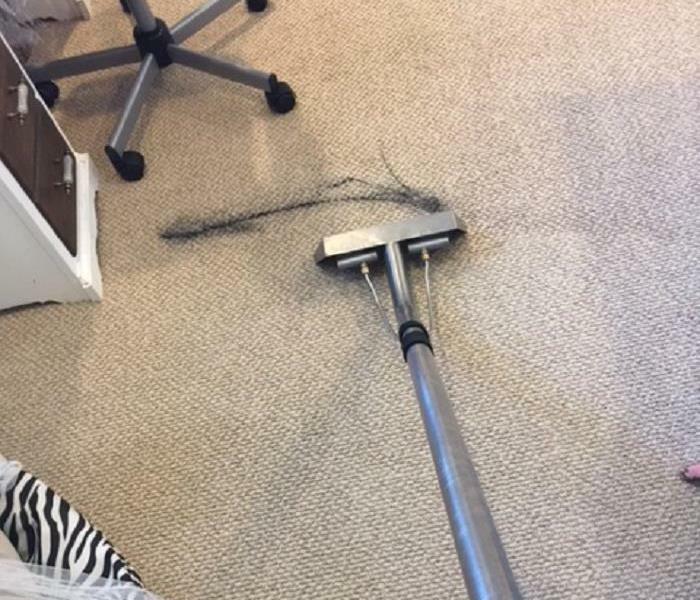 In this image, you can see a rug that worked hard to get clean. If you have carpet or rugs in need of cleaning, call us! Keeping your carpets clean will prolong their life. 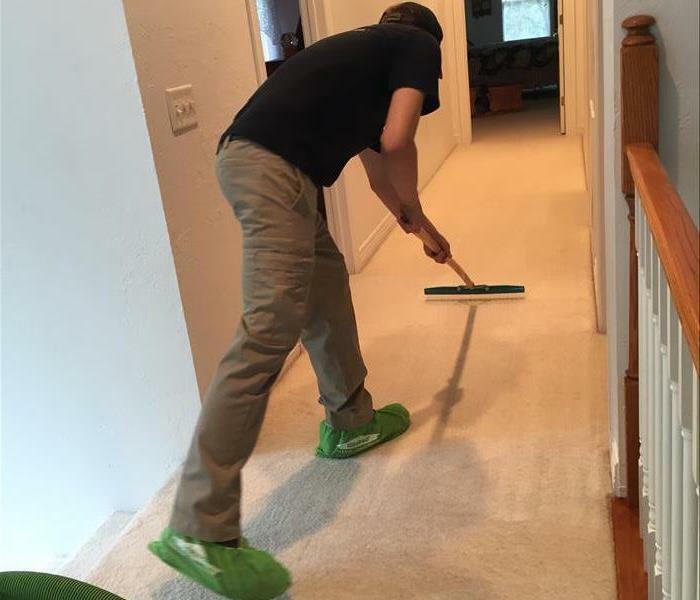 In this image, you can see one of our technicians working hard to make this carpet look spotless. Call SERVPRO for all of your carpet cleaning needs. In addition to restoration after fire, water, storm, and mold loss, our team also provides services such as carpet cleaning. If your home or business is in need of carpet cleaning, give us a call! Storms can happen anytime. They can leave behind debris along with a mess too big to tackle on your own. SERVPRO can help call us anytime day or night 24/7 and we can respond to your emergency. SERVPRO responded to this commercial water loss. They quickly extracted the water from the building and brought in a drying system to dry and prevent future damages to the building. 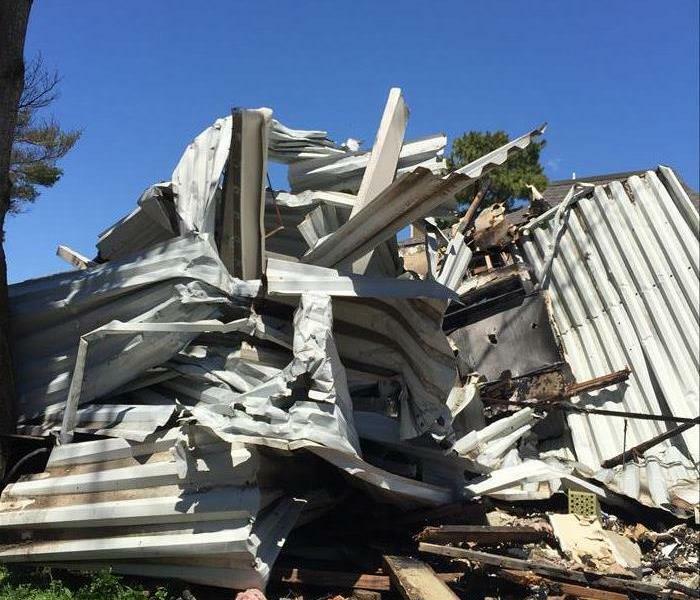 Disaster can happen any time to your commercial property. 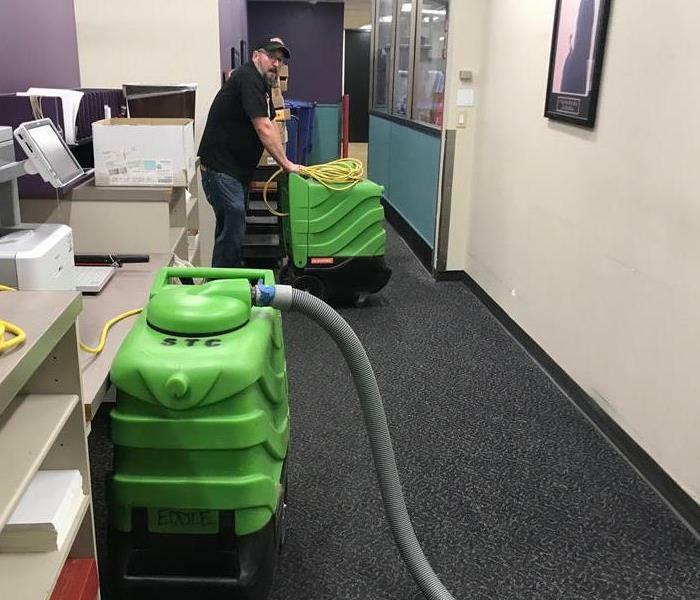 SERVPRO can respond with a team who is ready with special cleaning equipment and restoration techniques to restore your business and get the doors back open. Fires can break out at any time day or night. SERVPRO can respond 24/7. The team is ready for any size fire. Water loss along with smoke damage can be severe after fire fighting efforts. Mold can grow quickly after water damage. 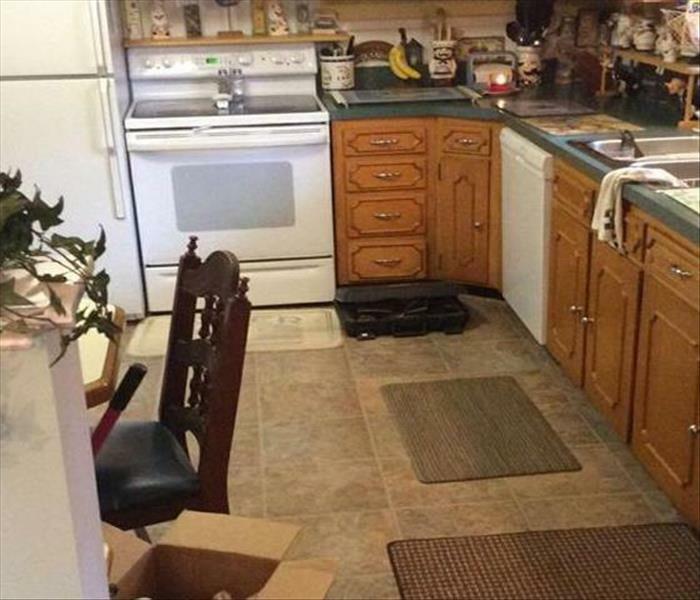 SERVPRO can clean the area quickly. They tore out the drywall and insulation and cleaned the area to ensure all mold was gone to prevent future damages. 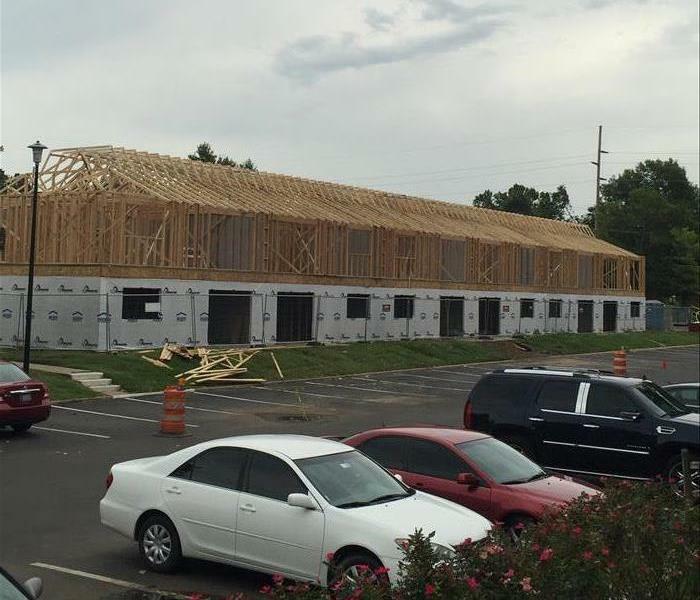 SERVPRO of South Tulsa was quick to complete this massive fire loss on an apartment complex in Tulsa, Oklahoma. The rebuild of this complex was quick and were able to get people back in their homes. After a catastrophic fire, this multifamily living facility was a complete demo. SERVPRO of South Tulsa did a full rebuild, completing within 5 months from framing to final inspection and ready to move in. After an evening of 70mph high winds, this church had severe roof damage that caused over 60,000 square feet of water damage. SERVPRO of South Tulsa was able to dry out the building in time for Sunday Services. When a natural disaster strikes it can be all too easy to lose hope in light of severe damage and loss. 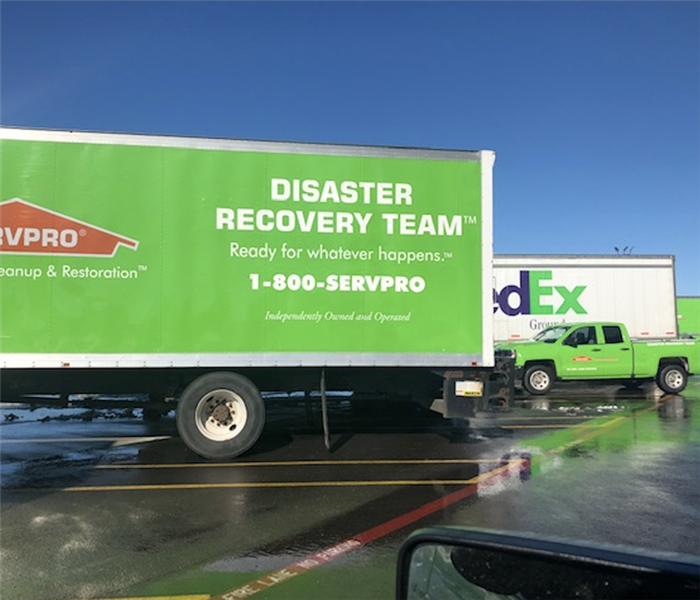 Whether it’s a tornado, blizzard or flood – the SERVPRO Tulsa based Recovery Team can provide help fast. Even in the face of a disaster, The SERVPRO Professionals of Tulsa County will strive to help make it "Like it never even happened." 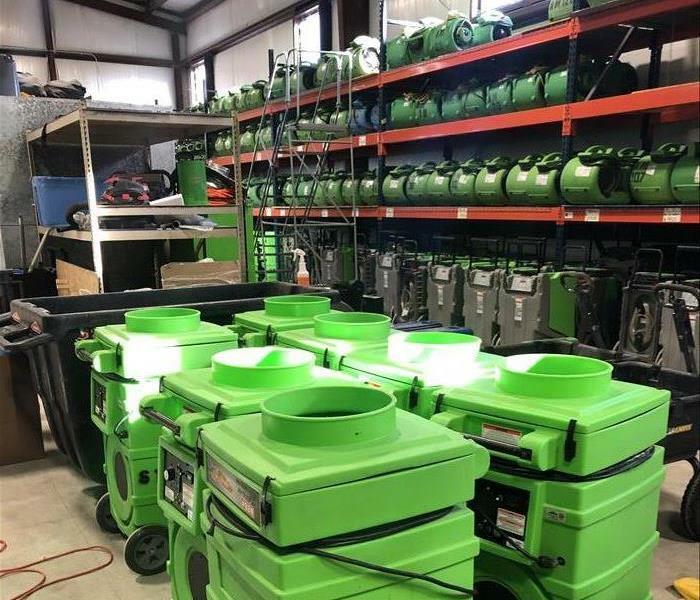 SERVPRO of South Tulsa was able to respond to a Church that had Tulsa water damage from a high windstorm in Bartlesville, Oklahoma. Our team quickly extracted the water and dried out the building in time for weekend services. SERVPRO of South Tulsa County Professionals provides fire and water damage restoration services. SERVPRO of South Tulsa County proudly serves Oklahoma City, Edmond, Tulsa, Sapulpa, Okmulgee, Jenks, Catoosa, Sand Springs, Glenpool, Coweta, and surrounding areas. We are available 24 hours/7 days a week and are ready to restore damage to your home. Jason and Lacey creating an Emergency Ready Plan for Fairfield Inn in Yukon, Oklahoma. 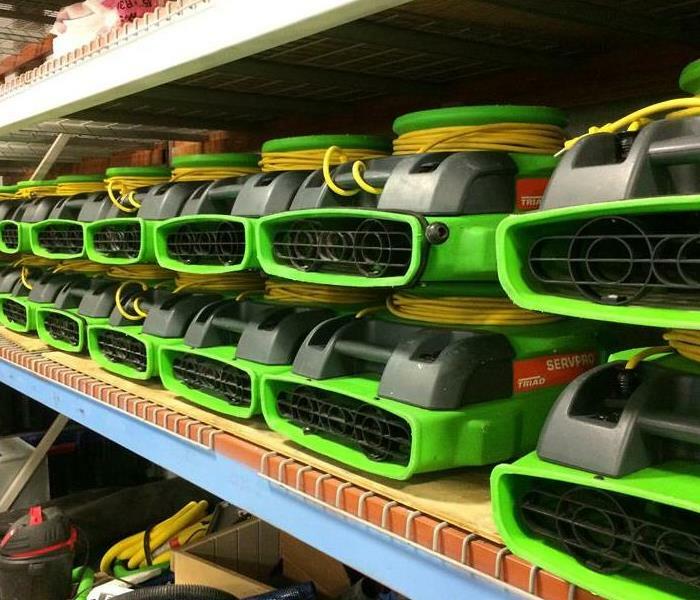 This photo is our response to electrical fire damage in Tulsa, Oklahoma. SERVPRO of South Tulsa helped this family pack out all of their content and begin the process of cleaning and restoring their home. SERVPRO of Edmond proudly serves Oklahoma City, Edmond, Tulsa, Stillwater, Yukon, Bethany, Mustang, Moore, Guthrie, Choctaw, Okc, Edmond, Tulsa, Sapulpa, Okmulgee, Jenks, Catoosa, Sand Springs, Glenpool, Coweta, and surrounding areas. We are available 24 hours/7 days a week and are ready to restore damage to flood, clean up flooding, clean up water, cleanup flooding, crime scene clean up, disaster restoration services, emergency water cleanup, fire and water damage restoration, fire restoration, fire damage Tulsa, flood damage cleanup, flood damage restoration, hot water tank flood basement, house flooding damage, household mold removal, how to help clean up a flood. Call SERVPRO of South Tulsa 24/7 at 918-437-2095. 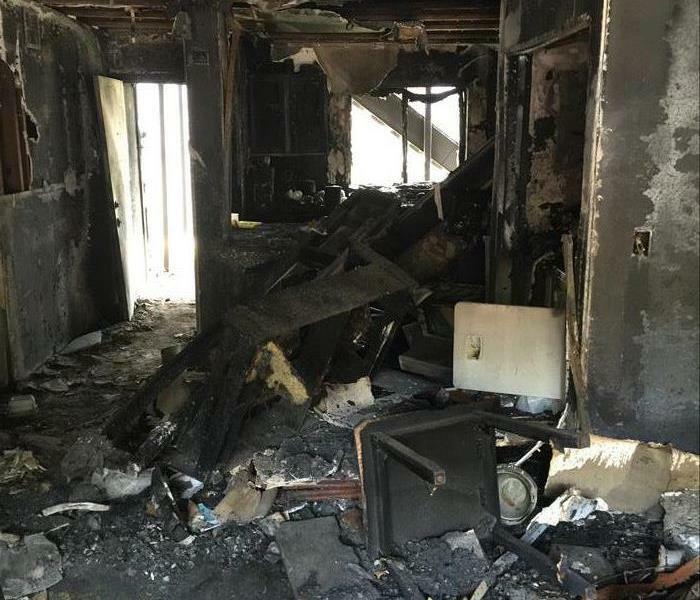 This is a Fire Damage - Tulsa Job at the Observation Point Apartments in Tulsa, OK. SERVPRO of South Tulsa cleaned and rebuilt the affected structure of the apartment complex. - We are the Fire, Water, Mold, and Cleaning Experts - available 24 hours a day 7 days a week for your emergency. This is a Fire Soot cleanup Job at the Observation Point Apartments in Tulsa, OK. SERVPRO of South Tulsa cleaned and rebuilt the affected structure of the apartment complex. SERVPRO of South Tulsa County Professionals provide fire and water damage restoration services. SERVPRO of South Tulsa County proudly serves Tulsa, Bixby, Claremore, Sapulpa, Okmulgee, Jenks, Catoosa, Sand Springs, Glenpool, Coweta, and surrounding areas. We are available 24 hours/7 days a week. 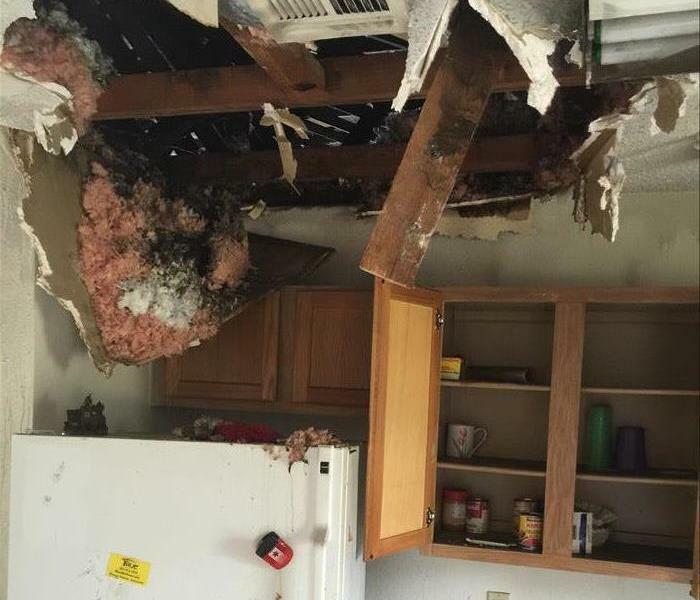 This is a Fire Damage, and water damage related job at the Observation Point Apartments in Tulsa, OK. SERVPRO of South Tulsa cleaned and rebuilt the affected structure of the apartment complex. In the end we were able to get everything repaired and put back, "Like it never even happened." This is a Fire Damage Job at the Observation Point Apartments in Tulsa, OK. SERVPRO of South Tulsa cleaned and rebuilt the affected structure of the apartment complex and returned to pre loss conditions. 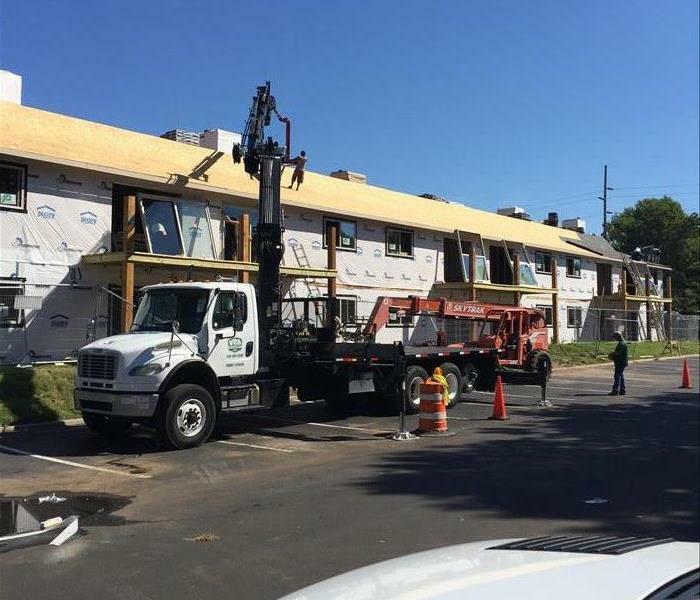 This is a Fire Damage Job at the Observation Point Apartments in Tulsa, OK. SERVPRO of South Tulsa cleaned and rebuilt the affected structure of the apartment complex. 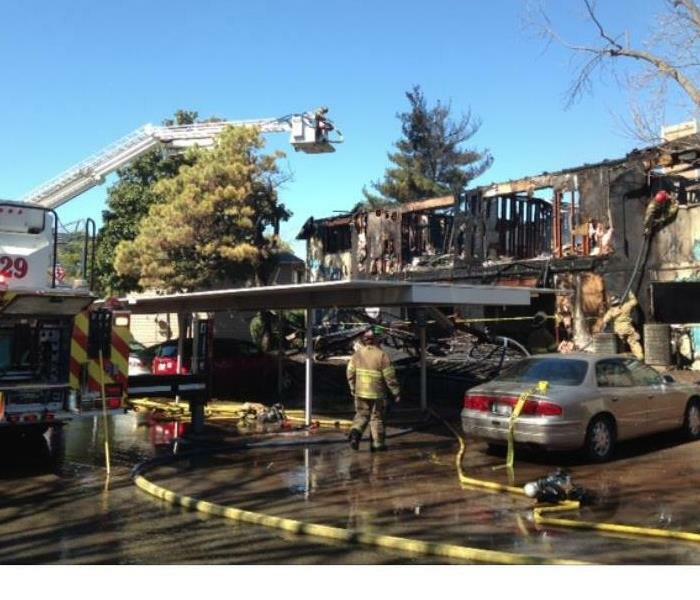 The apartment suffered from water damages from fire fighting efforts. Commercial water removal and mold clean up job in the Stillwater area. The technicians are trained in mold remediation to ensure your home is cleaned correctly and safe for return after an infestation. 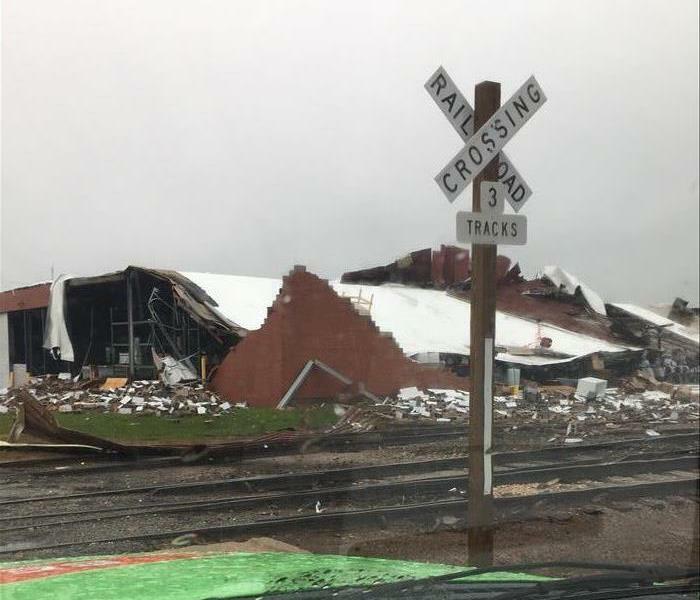 Severe storms can happen in your city any time. SERVPRO is ready for any type of storm damage 24/7. 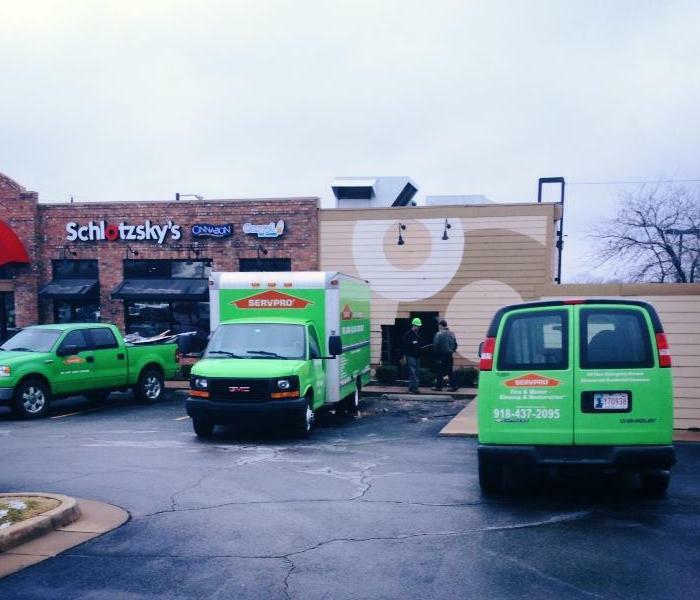 The team helped board up this property after tornado damage in Broken Arrow, OK.
Schlotzsky's Emergency Board Up Tulsa, Ok Schlotzsky's (71st & Lewis) location emergency board up needed after a vehicle drove into the building. This church had extensive water damage, we were able to dry it out with in seven days. This church suffered from a water loss after a storm. SERVPRO responded and began clean up efforts. The church was dried out and reconstruction following. The team has special drying techniques to make the process quick. This house had suffered from soot and smoke damage from the fireplace spread through out the house from a small fire. The technicians at SERVPRO can clean the area professionally and restore to pre fire conditions. The technicians at SERVPRO are trained on special cleaning techniques for any type of mold restoration. The home was cleaned to remove the mold from the ceiling affecting the room and potentially spreading throughout the home. After water damage Mold can grow quickly. It is important to get the area treated immediately. Call SERVPRO anytime day or night 24/7 to clean your area with any type of mold infestation. 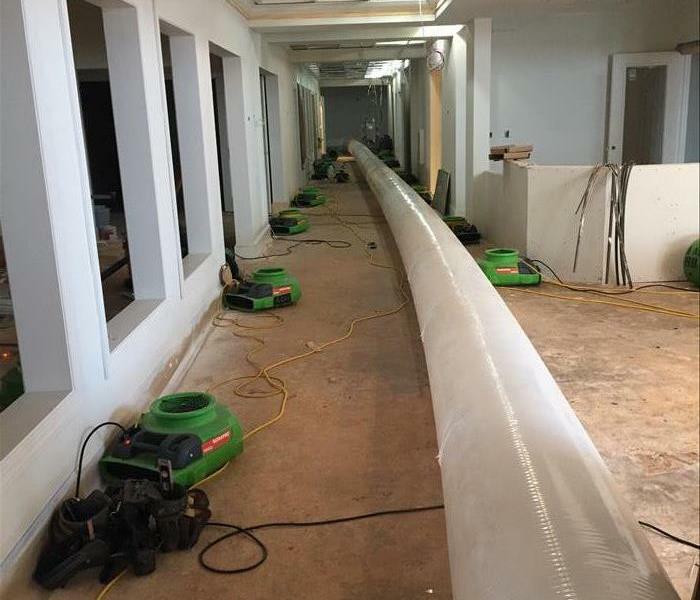 SERVPRO responded to this Large office cleanup after a severe storm in OK. The office suffered from a large water loss. The water was extracted from the building and dried to prevent future damages. SERVPRO of South Tulsa headed to OKC to help a homeowner with water damage. 24/7/365 we are here to help! SERVPRO of South Tulsa County proudly serves Oklahoma City, Edmond, Tulsa, Sapulpa, Okmulgee, Jenks, Catoosa, Sand Springs, Glenpool, Coweta, and surrounding areas. SERVPRO of South Tulsa restores damage to your home or commercial structure caused by water damage. 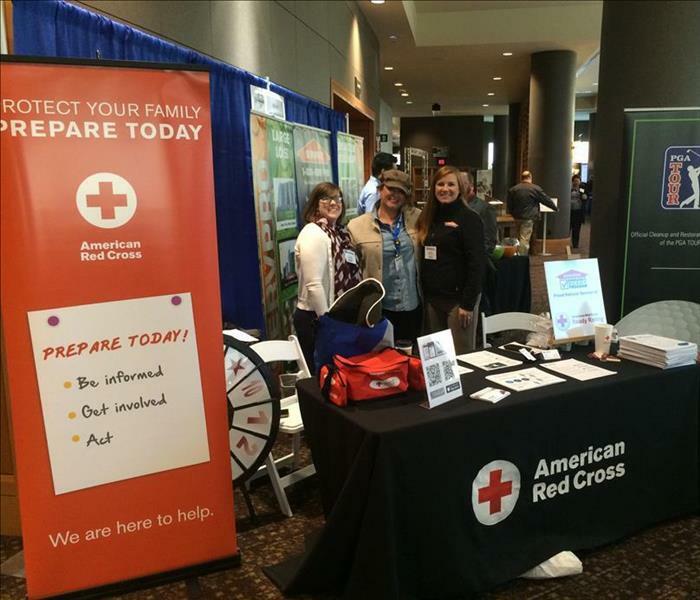 The American Red Cross and SERVPRO of Edmond inform consumers of actions to take when a disaster strikes. If you would like to schedule service for your home or business, please call today! SERVPRO of South Tulsa out in the snow arriving at a home in Oklahoma. 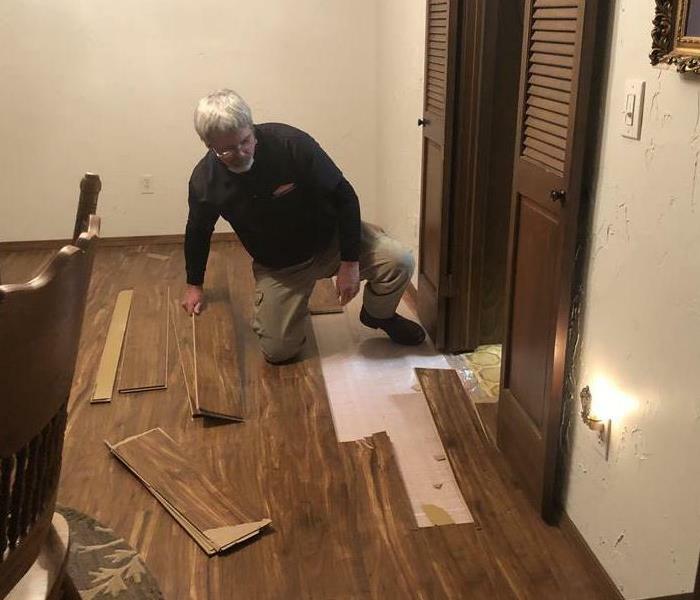 SERVPRO of South Tulsa County is a 24/7 emergency water removal and flood clean up repair service company, Our technicians are highly trained and experienced with storm and water damage situations. T-Mobile Water Damage in Edmond, OK SERVPRO of Edmond serves the Oklahoma City, Tulsa, Edmond, Stillwater, Yukon, Bethany, Mustang, Moore, Guthrie and Choctaw markets - We are the Fire, Water, Mold, and Cleaning Experts - available 24 hours a day 7 days a week for your emergency. Flooding can wreak havoc on your OKC business and stock. Almost always happens when you’re least expecting it, reaction time is critical. To minimize damage, water removal must happen quickly. When a flooding emergency occurs, you need expert help. Our technicians are professionally trained in basement flooding clean up, carpet restoration water damage, clean up flood, clean up flooding, clean up water, Midwest City water damage, water damage repair, Stillwater water damage clean up, water removal pump, clean up flood, clean up water, cleanup water, Yukon water stains, cleanup flooding, evaporation equipment. Call the professionals from SERVPRO of Edmond 24/7/365. 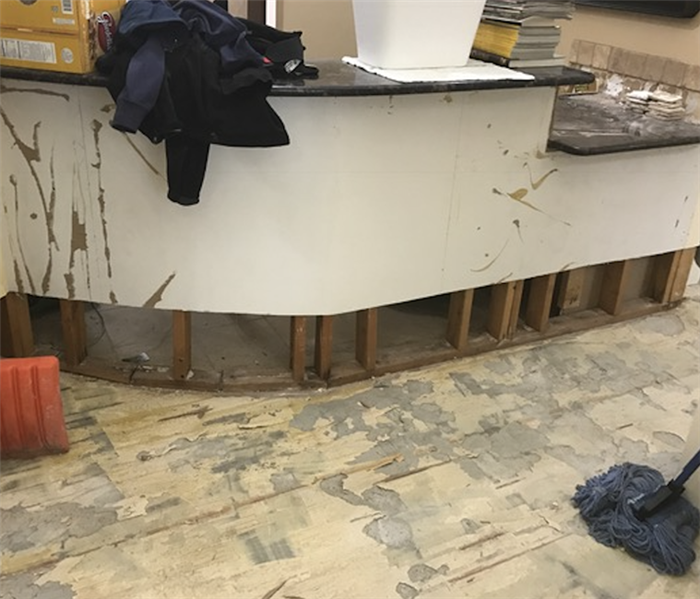 This store suffered from water damage in Edmond, OK - We are the Fire, Water, Mold, and Cleaning Experts - We are available 24 hours a day 7 days a week for your restoration emergency. If Edmond Fire Damage occurs in your home SERVPRO of Edmond can make it “Like it never happened." Our technicians are professionally trained and certified to manage your Edmond fire damage. In addition to fire damage your Edmond home will likely have water damage as a result of the firefighting efforts. You will need a caring professional to guide you through this crisis. We understand how difficult this is. Your home will always be treated with care. If water from rain, flood, plumbing leak, or any source has damaged your South Tulsa home you should be aware of the potential for Mold Damage South Tulsa County. Within two to three days South Tulsa County Mold Damage can produce allergens and irritants that could cause trouble with allergies and might have other health effects. If you do find Mold call SERVPRO of South Tulsa County. Our trained & certified technicians know the science of Mold growth. They have experience identifying the type of Mold present and employ the proper equipment to provide Mold Remediation services for your home. Our technicians are trained and certified to handle household mold removal, Moore mold damage, SERVPRO mold cleanup, mold damage clean up, mold home damage, black mold, black mold symptoms, Guthrie mould removal, remove mold, mold removal, Choctaw mold remediation, mould cleanup, mold spores, get rid of mold, Bixby and black mold removal. Call SERVPRO of South Tulsa 24/7 at 918-437-2095. 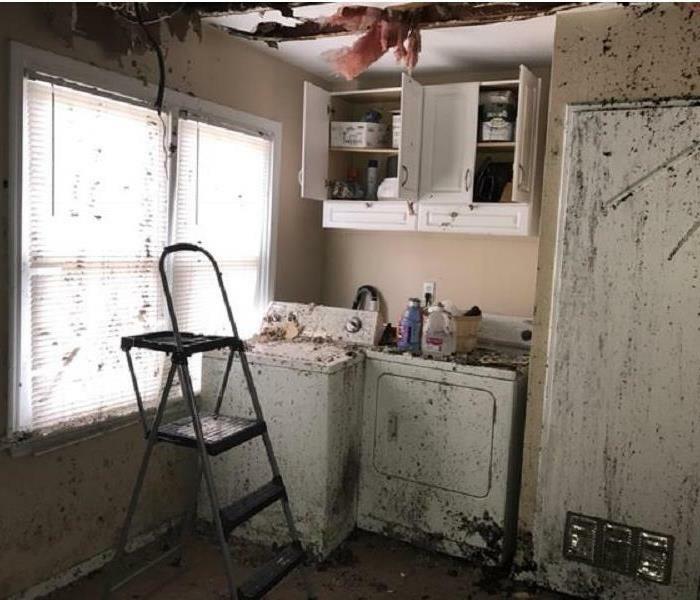 If water from rain, flood, plumbing leak, or any source has damaged your South Tulsa home you should be aware of the potential for Mold Damage. Mold can grow quickly in your home so call us 24/7 for your mold remediation. 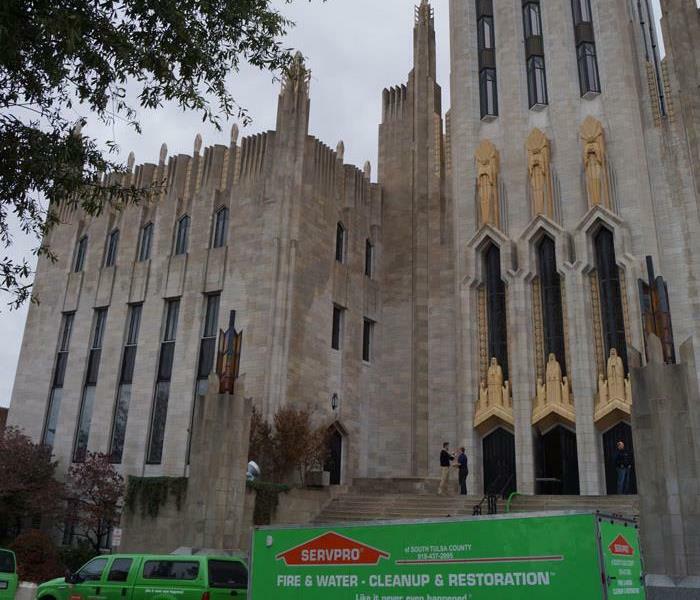 One of Tulsa's historic monuments, built in 1929, Boston Avenue Methodist Church calls in SERVPRO to do the clean up. 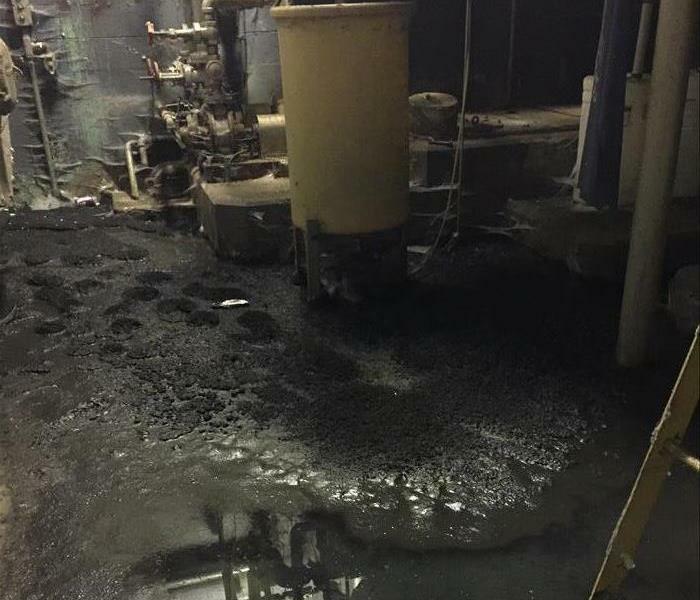 A heat exchange tank ruptured on the 5th floor, flooding all the way in to the basement. We were able to save all of their original 1929 plaster, alabaster, and lat due to a prompt response and highly trained technicians. Received a letter of recommendation from the Pastor. SERVPRO was on the scene to assist patrons in Barnsdall, OK when a fire ripped through historic downtown. Several buildings affected and we were able to come down and save the Knights of Pythius building, that had classic cars stored in the lower level.